FAYETTEVILLE, Ark. – NCAA Golf Championship Officials announced today through the generosity of Tyson Foods and the Tyson Family, tickets for the 2019 NCAA Golf Championships will be provided on a complimentary basis for all attendees. The national championships will span two weeks – women’s championships May 17-22 and men’s championships May 24-29 – and be hosted by the University of Arkansas at Blessings Golf Club. In addition to complimentary tickets, parking will be free and event organizers plan to offer affordable food and drink experiences onsite at the Championships. The 2019 NCAA Golf Championships is a 72-hole stroke play team competition that concludes with the top eight teams participating in a match play playoff. In addition to crowning a team champion, an individual champion will be determined after 72 holes. Physical tickets will not be needed for entrance into the event, instead commemorative tickets will be given to attendees upon entrance into the event. For a complete schedule of events, admissions hours and additional event-related information, please visit ncaagolf19.com. About Razorbacks Athletics: A Division I member of the National Collegiate Athletic Association (NCAA), the University of Arkansas’ Department of Intercollegiate Athletics annually ranks as one of the nation’s most successful athletics programs. The University of Arkansas sponsors a total of 19 varsity sport programs, including 8 men’s and 11 women’s sports. Featuring one of the most unique nicknames in intercollegiate athletics and a passionate fan following, the Arkansas Razorbacks compete in the Southeastern Conference (SEC). Razorback Athletics annually meets the needs of more than 460 student-athletes enabling them to succeed in athletic competition, in the classroom and in the community. 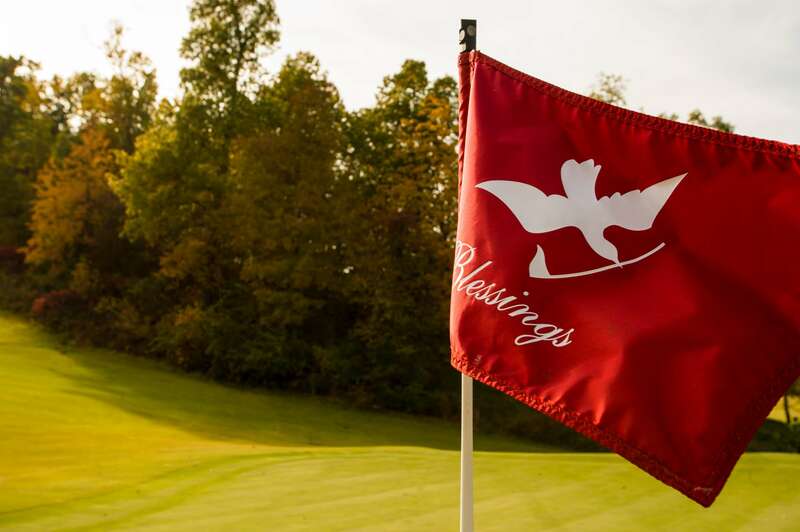 About Blessings Golf Club: Blessings Golf Club was developed with the vision of being a club of comfort to its members and their guests by providing a superior golfing experience designed to test championship golfers on every shot. The Club is home to the University of Arkansas Men’s and Women’s Golf Teams.